Are you interested in growing potatoes, but do not have much available space in your garden? Potatoes can be really tasty, but a lot of work is needed once they are harvested. If you want a way to keep from having to wash potatoes, then you can grow lots of dirt free potatoes with hay. 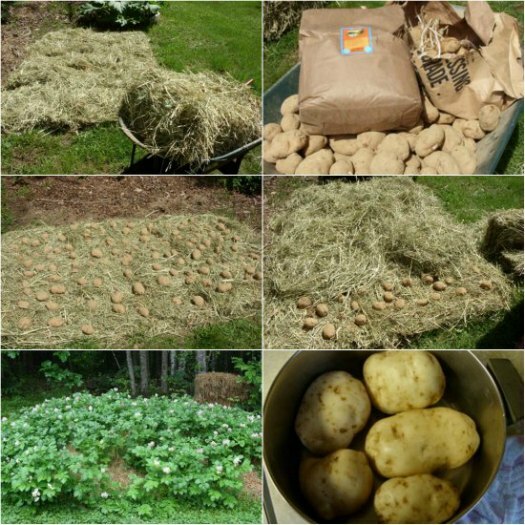 The process to grow lots of dirt free potatoes with hay is super easy to do. One bale of hay is all that is needed for this task. All you need is 1/2 of the bale, so you will have some hay left over. Depending on where you want to grow the potatoes, then you may need to use the entire bale. You should not have to do much of anything to grow lots of dirt free potatoes with hay. Some watering might be the only thing you will need to do when the weather is abnormally dry.